One of Cheshire’s Market Towns , Bollington never stands still, with a constant stream of artistic and volunteer endeavour from the Bollington Brass Band, the Festival Choir, Bollington Light Opera Group (BLOG), the Festival Players and so many other gifted groups. 2019 is Bollington Festival year! The Discovery Centre can be found at Clarence Mill. Run by Bollington Civic Society, it continues to be very popular with those wishing to discover more about the town and its history and view their amazing collection of historic pictures, many of which appear in these pages. Canalside Radio on 102.8fm has firmly established its popularity throughout the east Cheshire area. A wide range of sporting activity and achievement compliments all this fun. For details of What’s On check your copy of Bollington Live!, look at Bollington Arts Centre pages or call the Information centre (01625−576311). A monthly What’s On leaflet is available at the Town Hall and also available online here . The small town of Bollington is located about three miles north of Macclesfield , 18 miles south east of Manchester, in north east Cheshire, in the north west of England – find us on the map . It nestles in the western most foothills of the Pennine range of hills above the Cheshire plain, adjacent to the Peak District National Park; the boundary just enters the parish. It is a town borne of its rural origins with the industrialisation of the area beginning in the mid 18th century and rapidly developing in the 19th when several large cotton mills were built, coal mines were opened and stone quarried. The opening of the Macclesfield Canal in 1831 provided important industrial development incentive as did the railway that followed in the late 1860’s. In modern times the mills have been replaced by, usually, smaller businesses although there remain two large paper coating mills, our biggest industry today. Tourism is increasingly important, the town providing an easy base for those interested in walking the hills (we hold an annual Walking Festival in late September), walking or boating the canal or walking or riding (bikes and horses) on the converted railway track, now known as the Middlewood Way. Known to its residents as the Happy Valley, this town is a village is a town! What do I mean? Well, it’s a town of 8,300 population (as of 2011) strung out over a distance of about two miles, never very wide, giving the feeling of one long village. Present day Bollington is really based around three villages that became merged together – Bollington Cross, West Bollington and Bollington, and on the edges you will find Kerridge on the high ground and Lowerhouse in the river Dean valley. There was a significant increase in the population during the 1970’s, 80’s and 90’s turning the town into a dormitory for Macclesfield and Manchester. 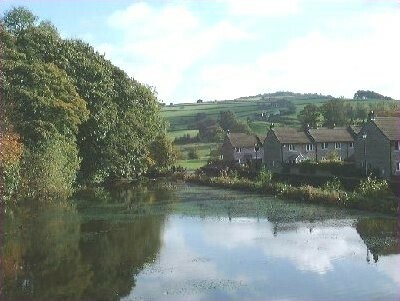 Bollington is regarded as a very desirable place to live and work. This has to do with the advantages of its beautiful location amongst the hills, known as the Cheshire Peak District , and the fact that the main street is, for all practical purposes, a no through road; the road does go through but leads mainly to places that can be reached more directly by other routes. 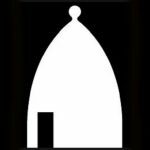 This page provides a range of links to other pages giving an in-depth view of the town and the interests of its population. Have fun! 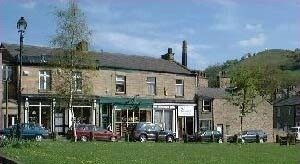 Note that Wednesday is traditionally half day (or early) closing day for shops in Bollington and many still follow this tradition by closing at lunch time – usually 1.00pm – but not the Post Office, Pharmacy or the Co-op, all at West Bollington. A Neighbourhood Plan has been developed. This will guide the planners, particularly where housing is concerned, up to 2030. There is considerable community involvement which culminated in 2018 with a referendum, open to all residents, on its acceptance or otherwise. This resulted in a substantial majority in favour of the Plan. The 2009 Local Government reorganisation led to the need for Cheshire East Council (CEC) to dispose of large numbers of assets – particularly buildings and open spaces. Bollington Town Council (BTC) have negotiated to take over a number of these assets and run them locally, mainly by use of volunteer groups such as that already running the Recreation Ground (although that remains in the hands of CEC who continue to undertake a range of maintenance activities). The Civic Hall was taken over in April 2013 and has subsequently been given a good overhaul. Friends of the Recreation Ground was established to look after this important green space in the centre of town. They have made a significant improvement to the facilities which accommodate cricket, football, tennis and bowls. They have won a Green Flag for quality open space every year since their formation! The Bridgend Centre opened in 1990 and continues to provide support in many ways to those who need a helping hand. Open for coffee most days, it also has a fantastic range of useful second hand things for sale, including clothes, books and all kinds of household utensils. The Civic Society have a Discovery Centre at Clarence mill. This was opened by cousins John & Terry Waite, at the start of the 2005 Festival. 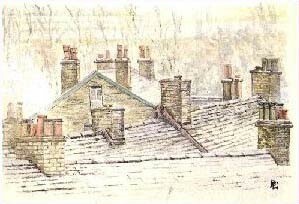 It provides an insight into Bollington’s heritage. Do come and join us there! Check out the Civic Society pages now! Many footpath maps and walks guides are available from the Bollington Outdoors website, from the Bridgend Centre and from the Discovery Centre – see the Walks page for more details. There are several very active pages on Facebook . Many members of the community have Facebook, Twitter and WhatsApp pages. There are now dozens, possibly hundreds of videos of Bollington and Bollington events saved on YouTube ! Go and make a search and see what you can find! Welcome to the NEW! Happy Valley Website! You are looking at the brand new Happy Valley website! The old site served us for more than 20 years but it was getting difficult to maintain, so we have renewed it in several ways – a new site name (we got rid of the pesky hyphen), a new content management system (WordPress for much easier maintenance). Neville Bester has done a fantastic job over six months in 2017 to create the new site, which contains all of the valid information from the old site. Every page has been reviewed and updated where necessary. New pages are planned, and, for the first time, Bollington groups will be able to have and manage their own pages on the site! Are you running a group – sport, arts, social – that would benefit from having a couple (or a couple of dozen) pages but doesn’t want to develop a complete web site? If so, this is your big opportunity – free pages on the Happy Valley website – you decide what you want on your page, what pictures, and you can set it up and maintain it, it’s really very easy, absolutely no IT knowledge required, you can do it on a PC, Mac, tablet, or even a smartphone (not so easy), anything with a web browser. Do message the Webmaster to discuss. Many photographs in the Happy Valley website may be enlarged by selecting them (hover mouse over image and left-click). Links marked open a new tab or window. On a PC use Ctrl/Tab to change tabs, Alt/Tab to change windows. There are several links to send an email on this website – these will only work if you have a mail server running on your PC (eg. Windows 10 Mail, Outlook), tablet or phone.